Synopsis: Late on a frozen February evening, a young woman is running through the streets of London. Having fled from her abusive boyfriend and with nowhere to go, Jess stumbles onto a forgotten lane where a small, clearly unlived in old house offers her best chance of shelter for the night. The next morning, a mysterious letter arrives and when she can’t help but open it, she finds herself drawn inexorably into the story of two lovers from another time. My take: I loved the WWII and 2011 dual storylines and how they converged to solve a mystery in Letters to the Lost by Iona Grey. The principal characters of Dan and Stella and Jess and Will were well-drawn and completely engaging. I found their stories compelling and looked forward to getting back to the book each time I had to stop reading. I credit Grey’s writing and her obvious gift for telling a good story! She impressed on the reader the emotions of those fighting in the war and those at home. Stella and Jess shared similarities. Stella married the man she worked for naively thinking he truly loved her. Jess stayed too long in an abusive relationship before running away. The difference is that Jess had choices and Stella did not. That difference is what affected the rest of Stella’s life. 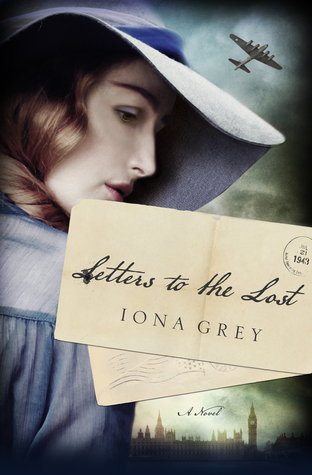 If you enjoy historical fiction with a good dose of romance you’re in for a treat with Iona Grey’s novel Letters to the Lost. I know I’ll be thinking about this book for a while. Recommended.